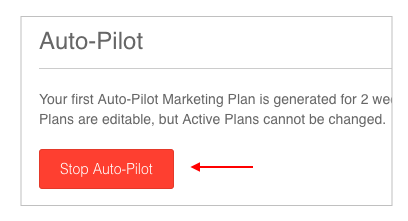 Go to Auto-Pilot under the Marketing in your Socioh dashboard. 3. Click on the ‘Stop Auto-Pilot’ button.